Stainborough Walk - A hilly 4.5 mile walk from the village of Stainborough, with a (paying) detour which will let you take in both Stainborough and Wentworth Castles’ gardens and parklands. See our report and photos of the walk here, and the detour here. Elsecar Walk - 6.25 miles following the Timberland Trail, the Elsecar Reservoir and Skiers Spring Wood. Silkstone Common to Low Mill Farm - A 2.5 mile walk along the Silkstone Waggonway, including remains of a colliery and furnace. Silkstone Common to Kine Moor - 3.5 miles through a number of woods including the Highfield Plantation, Lower Storrs Wood and Hill Top Wood. Silkstone Common to Banks Hall Farm - 2.25 miles through fields and farms, taking in Whin Moor Plantation. Silkstone Common to Falthwaite - A 3 mile walk through fields, past a number of farms and skirting the edhe of Silkstone. Royston Walk - 4 miles around the village of Royston and through surrounding fields, taking in part of the Trans Pennine Trail. Partridge Dale and Berry Moor - A 3 mile walk through fields and Woodland, starting at Silkstone Common railway station and passing the Huskar Monument. Old Moor Walk - Old Moor Nature Reserve, following the River Dearne and through the Gypsy Marsh Nature Reserve. Dearne Walk - A 4 mile walk along railway lines, fields and the village of Billingley Green. Cawthorne Walk - Starting at Cannon Hall Country House, this 3.75 mile walk goes through the surrounding fields and farms. Wombwell Ings - 3 mile walk from Broomhill, through Gypsy Marsh Nature Reserve and along part of the Trans Pennine Trail (printable leaflet from Barnsley MBC). Hoyle Mill and Cundy Cross - 4.4 miles starting at Dearne Valley Park, flanking Barnsley Colliery and following a stretch of the TPT. Grimethorpe and Brierley - Circular 4.8 mile walk taking in the villages of Grimethorpe and Brierley, including Brierley Manor (printable leaflet from Barnsley MBC). Green Moor Walk #1 - A 5.3 mile walk around the bird-rich area surrounding the hamlet of Green Moor, between Thurgoland and Stocksbridge. 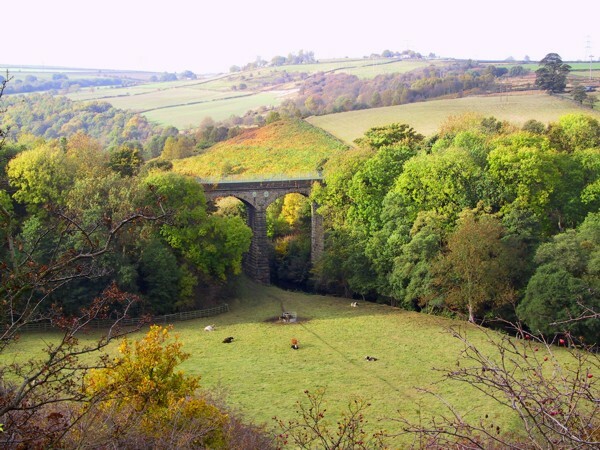 Green Moor Walk #2 - A 4.5 mile circular route in the countryside surrounding Green Moor and Thurgoland, including the Rompticle Viaduct . Green Moor Walk #3 - A 1.6 mile walk starting at the ancient stocks in Green Moor and taking in the surrounding woods. Barnsley to Monk Bretton – A 2 mile linear route through woods and along the canal from Barnsley, ending up next to Monk Bretton Priory, part of the Dearne Way. Monk Bretton to Darfield - a 5 mile walk along part of the Trans Pennine Trail and through fields via Edenthorpe, part of the Dearne Way. Darfield to Bolton on Dearne - A 3.5 linear stretch linking up two very old Barnsley villages, part of the Dearne Way. The Pen-Den Trail - A 5.5 mile scenic walk linking Penistone and Denby Dale railway stations. Thurgoland Local Heritage Walk - A walk round the village of Thurgoland taking in the industrial history of the village, including the iron making and wire drawing industries. Silkstone Village Walk - A 6 mile walk through Sillkstone, going along the Waggonway and passing the 17th century church and some disused pits. Phoenix Park Walk - 2.1 mile figure 8 shaped walk around Phoenix Park in Thurnscoe, taking in some modern sculptures. The Fox Walk at Worsbrough Park (part 1) (part 2) - A 2km walk taking in part of the reservoir along with a part of the Trans Pennine Trail. The Badger Walk at Worsbrough Park (part 1) (part 2) - A 3.5km walk around most of the reservoir at the Country park. The Owl Walk at Worsbrough Park (part 1) (part 2) - A 5km walk around the reservoir at the park, with some cross field walking. The most challenging of the three walks. Elsecar Greenway Walk - Starting at Old Moor Nature Reserve, walking 5.5 miles following the Elsecar Branch Canal and taking in Elsecar Heritage Centre. Dearne Valley Park Walk - A 5 mile walk which goes round lakes, and takes in the River Dearne and the disused Barnsley Canal. 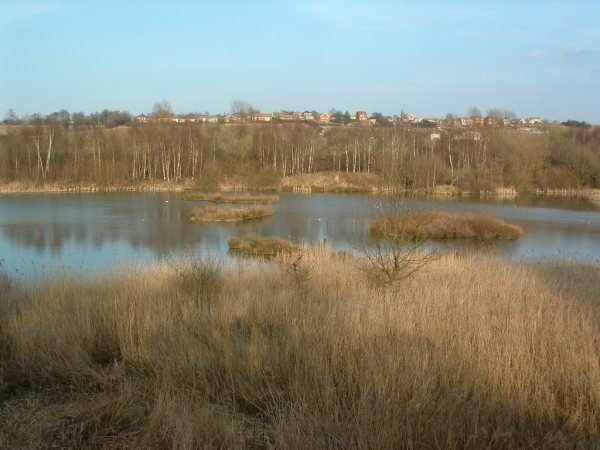 Carlton Marsh Nature Reserve - A walk around the reserve including marshland and an area of railway sidings. Bolton on Dearne to Mexborough - A 4.5 mile linear route along the rivers Dearne and Don, which is the final stage of the Dearne Way, part of the Dearne Way. Cliffe Wood Walk - A 1.5 mile walk round a wood which lies adjacent to Dearne Valley Park. The stream running through supports wildlife like Brown Trout and Kingfishers. Wombwell Woods - Choose from an orienteering trail or a health walk in this ancient wood which is carpeted by Bluebells in the spring. Whinns Wood Walk - A short 0.7 mile walk setting off from Crevesford School through Spring Wood in Carlton. A selection of 12 short linear walks making up the 73 mile Barnsley Boundary Walk. All leaflets are rather delightfully retro looking in a super shade of orange and are published by Barnsley MBC but printable from Travel South Yorkshire. The Travel South Yorkshire website also has a travel planner so you can get back to where you want to be at the end of your ramble. There are some sections of this which are longer than the usual Casual Rambler allowance of 6 miles / 10km, but I’m sure you would agree that it would be a pretty rubbish list if I missed bits out! 1 - Ingbirchworth to Cannon Hall - This 5.2 mile linear stretch includes the village of Upper Denby and Rons Cliff Wood. 2 - Cannon Hall to Bretton Hall - A 5 mile cross country linear route which is a tale of two halls. 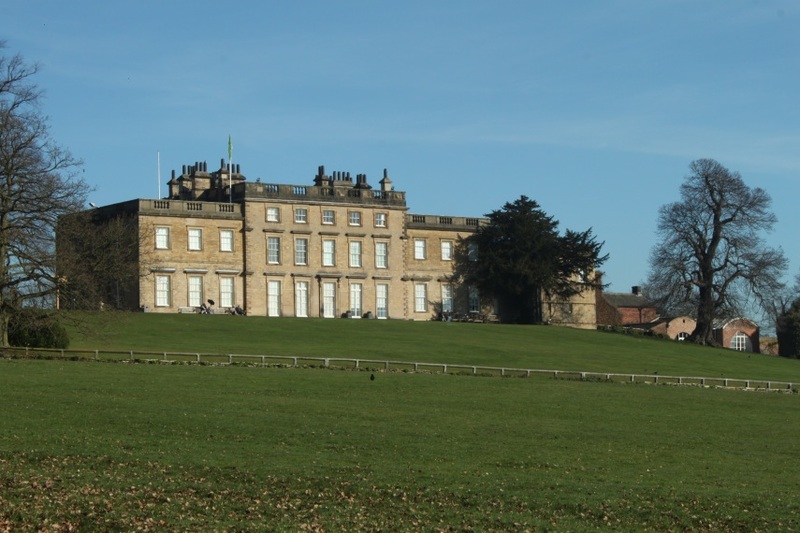 3 - Bretton Hall to Old Royston - SERIOUS RAMBLE ALERT!!! This is a 7.2 mile stretch taking in the Yorkshire Sculpture Park. 4 – Old Royston to Brierley - 3.7 miles through fields and skirting the village of Shafton. 5 - Brierley to Bolton on Dearne - SUPER SERIOUS RAMBLE ALERT!!! 9.6 miles including Grimethorpe, Thurnscoe and Goldthorpe. 6 - Bolton on Dearne to Elsecar - 6 miles in between Wombwell and Brampton, and ending up at Elsecar.